June 26, 2018 with his family by his side. Services entrusted to Colvin Funeral Home, Lumberton North Carolina. 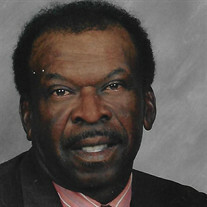 The family of Mr.. Lacy Burden, Jr. created this Life Tributes page to make it easy to share your memories. Send flowers to the Burden, Jr.'s family.